Having a wonderful smile is something that everyone desires. Therefore, you need a strong oral hygiene routine to avoid getting regular dental issues. You must always be on the lookout for any oral health issues that might affect your smile and overall health. Detecting these early allows getting treatment from your dentist before the issue escalates. To make this easier, here are 9 conditions to make you visit the dentist ASAP. You can easily get bad breath from the garlic in a pizza or from your sloppy dental hygiene. However, a chronic bad breath might be resulting from a potentially serious dental condition. This might be chronic halitosis where a bacteria biofilm hangs out in the mouth. Bad breath might also be caused by periodontal disease. Visiting the dentist promptly is a smart idea to allow proper diagnosis of what is causing the bad breath and appropriate remedies are given. Do your gums bleed when brushing? This is a sign of gum disease. Early treatment is essential before it progresses into periodontal disease. Visiting the dentist early ensures getting treatment to reverse the bleeding. Even if the bleeding happens without pain or discomfort, visiting the dentist is required. Taking long to see the dentist might make the condition result in periodontal disease, which comes with a risk of losing teeth and weak jawbones. Teeth can become sensitive for various reasons some of which are nothing to be concerned about. However, chronic sensitivity usually results in severe pain and discomfort. So, it’s highly recommended to visit your family dentist immediately. The dentist can detect the actual cause of your teeth sensitivity. This is because factors such as a fractured tooth, weakened enamel, loose filling, or decayed tooth might be responsible but only a professional can tell the exact cause. Living with a toothache is a very unpleasant experience that also comes with severe underlying implications on oral health and overall health. This can only be avoided by visiting the dentist to get treatment. When your teeth enamel is eroded, there’re various things to be worried about apart from staining. Compromised enamel makes your teeth prone to fractures and decay. 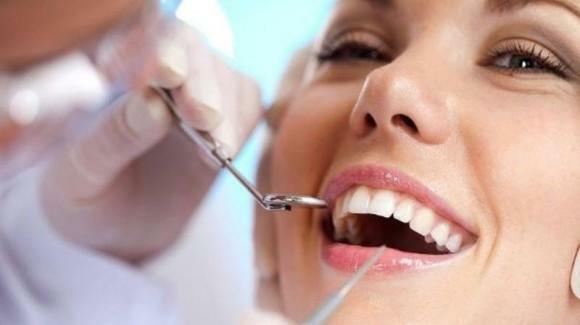 The best thing to do is to visit the dentist to get the eroded enamel or decayed teeth filled. These filings are helpful in replenishing lost minerals as a result of the weakened enamel. Having a dry mouth might seem harmless but you must think again. Apart from becoming unpleasant and uncomfortable, it makes your mouth prone to diseases and infections. Saliva keeps the mouth clean. When your mouth is dry,there’s low saliva production promoting the development of plaque, germs, and bacteria. To keep your teeth and gums safe, ensure to visit your dentist for an appropriate solution to your dry mouth. Do you have some loose teeth? It might be resulting from untreated gum disease or tooth decay. These might eventually lead to lost teeth. Proper diagnosis by a professional dentist is essential to identify and treat the condition that might be making your teeth loose. This will restore your teeth and protect it from getting lost. The dentist can tell whether your loose teeth is caused by an infection or autoimmune disease. You can lose a tooth from an accident or a fall. In case this happens, ensure to make an appointment with your dentist immediately. The tooth is lost and you’re going to live with empty space in your mouth for the rest of your life. However, a dentist can offer an appropriate solution to your lost tooth with an implant. Apart from maintaining your smile, it will save you from crooked teeth, jawbone breakdown, and misaligned bites. Well, a dentist can treat the cause of those unpleasant sores when diagnosed early before they become fatal. Regardless of whether you have a dental concern making you uncomfortable or not, all pose a big threat to your oral health. Therefore, ensure to visit the dentist regularly for a checkup to ensure your oral hygiene is in great shape and for the prevention of serious issues in the future.